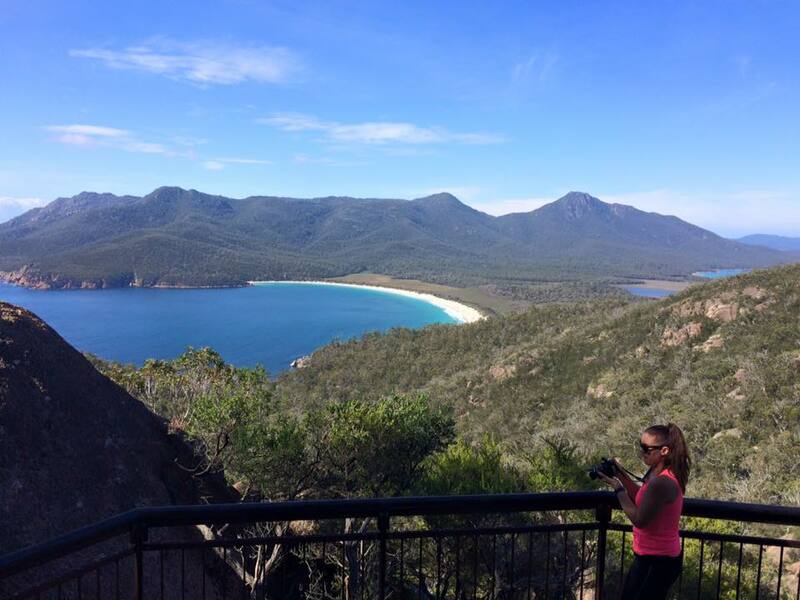 The walk to the Wineglass Bay lookout is a short and easy track with an amazing payoff when you get there. We were leaving Coles Bay that morning, but decided we still had time to do a quick trip up to the lookout. Any other day I would have preferred to do the full circuit around the bay. As the starting point for a number of walks, I was blown away by how busy the area was. There were as many stationary vehicles as you will find in Hobart’s short period of peak hour gridlock that has been causing so much angst recently. The start of the track was well marked and began on smooth hard-packed earth and gravel. We set off in good spirits, enjoying the warm weather. After a short while the track turned away to the right and looking back we were able to look back on the bay below us. Eventually the track turned back left and wound higher above its previous course, reaching a lookout to view the splendour of Coles Bay and Muir’s Beach after about 15 minutes. Even from this distance, the graceful curving architecture of Saffire was easily visible. The view from the lookout is more than worth the walk. The yellow sands of Wineglass Bay curved away far below us extending out into further cliffs that struck out into the dark blue water beyond. I was in no way disappointed by the experience, but I had to admit later that I would not elevate this particular view from a number of other incredible places in Tasmania. We spent some time at the lookout taking photos, eating and drinking. 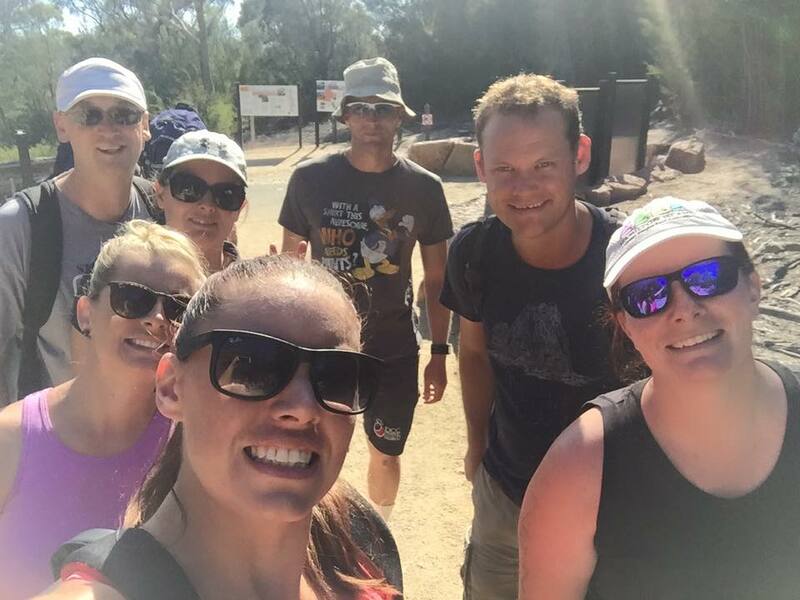 We were far from on our own, with a steady stream of other walkers leaving and arriving with a quicker turnover rate than federal cabinet. Even so, we didn’t feel crowded and were in no rush to leave. Eventually we were ready to go and turned to walk back to the car park. 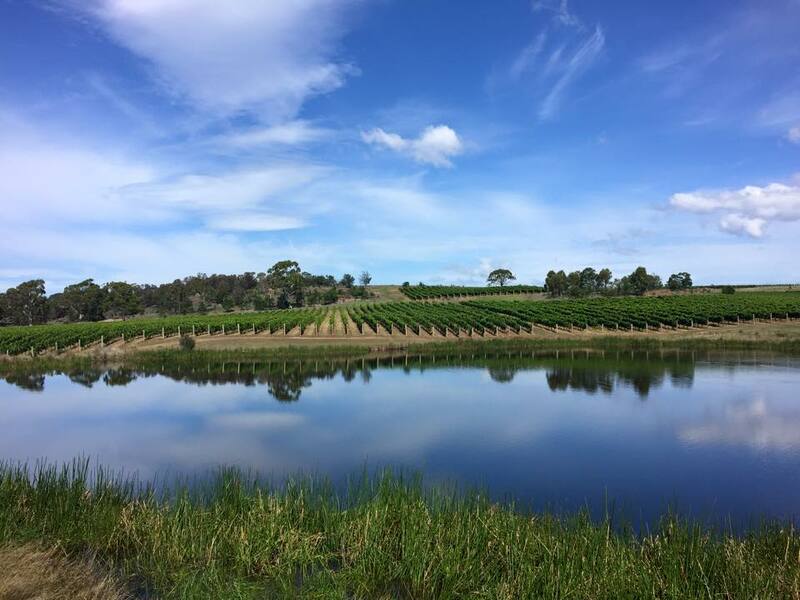 On any other day I would have been pretty reluctant to pass the turn off down to the bay itself, but we had promised ourselves lunch at Milton Winery’s new Spanish restaurant so were happy to continue on our way. After the first lookout the track seemed to get a lot more direct. Not Jacqui Lambie levels of direct, but there was a lot less meandering bends in the track and a lot more stone steps, which thankfully were shallower than Peter Dutton’s concern for asylum seekers drowning at sea. The path seemed to cut up towards a saddle between two higher points so occasionally you would pass interesting rocky formations close to either side of the track. The end of the climb became obvious from the blue sky that was quickly increasing on the lowering horizon. An unusual bench had been constructed at the edge of the path and I sank gratefully into it. It actually had as many edges as the Iron Throne, but was surprisingly comfortable. 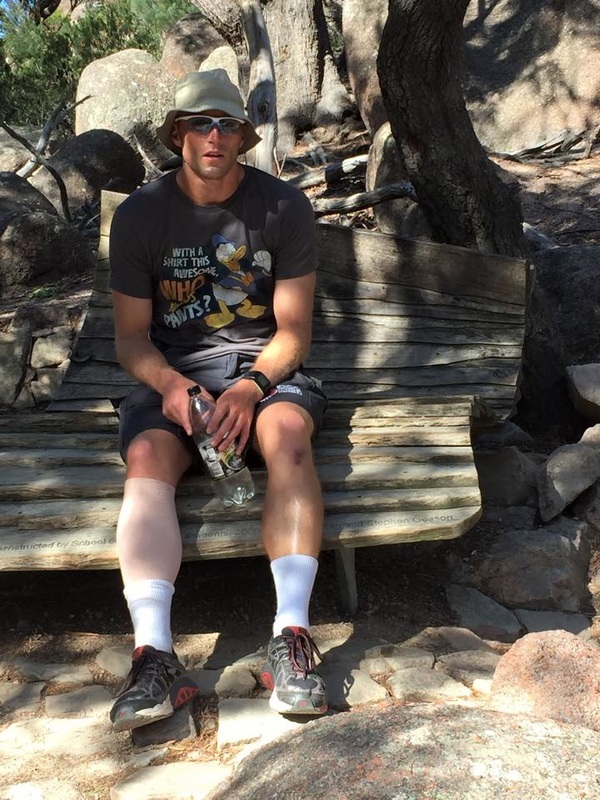 It really wouldn’t have been a difficult walk normally, but having completed the Coles Bay Half-ironman the day before, I was struggling like George Christenson getting up the hill. Thankfully, the (relatively) hard work was now done. Just beyond the bench was the first glimpse down to the bay beyond, but mostly obscured by the foliage. The path turned upwards to the left where the cliffs rose sharply above us. A helpful sign informed us that we were now only five minutes from the lookout. However, much like Peter Credlin and Tony Abbott, this sign and the summit were much closer than you realised at first and it was probably only 100m later that we got to the lookout. The walk back down was pretty comfortable. The steps were easy on the way down and the view of Coles Bay below us gave us much to appreciate. Midway down we hit a junction I hadn’t spotted on the way up, which diverted us back to the carpark via a different track which effectively reduced congestion on the track (I wondered if anyone had suggested some kind of a bypass as the answer to Hobart traffic congestion, but I am told it has been mentioned once or twice). After another easy 15 minutes we were back at the car and it was time to bid a reluctant farewell to Coles Bay and head back to Hobart, although not without stopping for an indulgent lunch at Milton. Everyone felt they deserved it by this point.